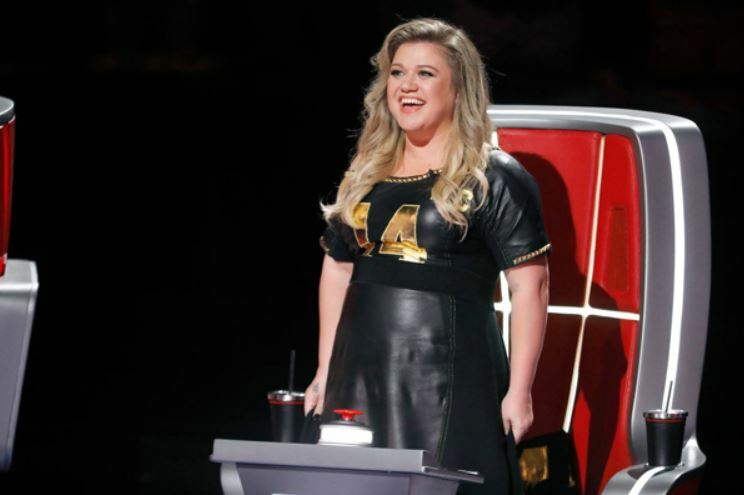 If you've been watching Season 14 of The Voice, you know that Kelly Clarkson has made this one of the most entertaining seasons to date. 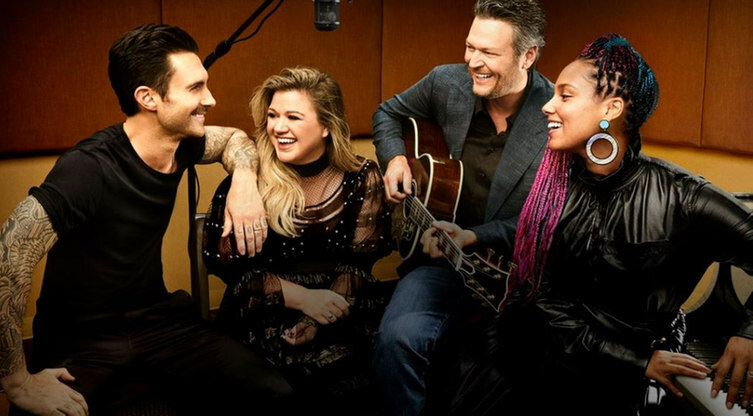 Not only has Kelly clapped back (with a simple glare) at shadiness from fellow coach Alicia Keys, but now she's upped the ante with a hilarious retort directed towards Blake Shelton. Of course, Kelly Clarkson and Blake Shelton have been butting heads for some time now. The two first appeared together in the show's second season when Kelly came on as an advisor to Blake's team. That year, one of Blake's chosen contestants (Jermaine Paul) ended up winning the show. This year, however, Kelly is in full competition mode. Flash forward to Season 14 when Blake and Kelly were fighting over contestant Brynn Cartelli. "I'm just saying," explained Kelly, "He had to phone a friend!" (referring to Season 2). That episode, Brynn ended up joining Kelly's team. So, yeah, there's been some beef between the two. During this week's episode, Kelly complimented a contestant by saying they reminded her of Nefertiti. Most of us recognize the Egyptian queen's name from our 10th-grade history class. You've also likely seen the ancient bust of Nefertiti, which is famous for its elegant silhouette. But, uh, apparently the word "Nefertiti" is completely foreign to Blake Shelton. After Kelly praised the contestant, Blake challenged her by saying, "What does that word even mean? I don't know what that word is." At first, Kelly was stunned that Blake had never heard of the ancient Egyption queen. She then enlightened him by responding, "'Oh my God! She's, like, a beautiful queen from Egypt!" But Blake continued to protest, perhaps a bit frustrated with a reference he didn't fully understand. "It's historical — read a book!" finally snapped Kelly. Fans immediately took to Twitter, where they were 100% living for Kelly's clapback. Some even called this moment payback for a previous episode where Blake had referred to the song "Tiptoe Through the Tulips" by Tiny Tim, which Kelly had never heard of. Fellow coach Adam Levine also praised the clapback. "God, I love you so much more every day," he said. Adam clearly took pleasure in seeing Blake, his long-time rival, being humiliated. Mind you, this isn't the first time Kelly's had to deflect comments from Blake. In one episode, Blake said he "was distracted by that ridiculous jersey that Kelly's wearing," referring to Kelly's black and gold jersey dress. "Are you serious? This one?" countered Kelly. She then got up from her chair, spun around, and proudly showed off her dress to everyone. "I'm not known for clothes, but this is cool," she added. And that's how you brush off a hater. Kelly Clarkson may be a Voice rookie, but let's not forget: she has actually won a singing competition. "I know Blake has won a lot and I'm the rookie," Kelly admitted, "but I'm just saying, I have won a competition." Therefore, Kelly has one major advantage that the other coaches do not. She's actually been on the other side, so she knows what it takes to stand out amongst the competition and win. First of all, Blake Shelton learned about Nefertiti — better late than never! As for the rest of us, we learned that Kelly Clarkson absolutely does not hold back. Tell us what you think of Kelly Clarkson calling out Blake Shelton in the COMMENTS!